on October 1, 2011 Fannie Mae and Freddie Mac will reduce the maximum mortgage loan amounts from $729,750 to $ 625,000?In Naples, a total of 273 homes were sold for over $ 1 Million within the first quarter of 2011, yet a majority of these properties were purchased with cash funds.While these government run entities may be getting out of the jumbo loan market, Guy Cecala from Inside Mortgage Finance believes that other players are making a move. The market is already moving to compensate for the new regulations and private lenders will slide in to fill in the funding gap. Should a lender wish to write loans over $ 625,000 the lender will be required to hold the mortgage themselves or find a private investor to buy them. It seems as though all lending routes for jumbo loans may end up in the hands of private lenders? The impact of this eventuality may not be felt in our market for some time..which gives us all food for thought. The credit crisis annihilated the jumbo loan market. Banks simply stopped making loans available for “expensive” homes”. According to Inside Mortgage Finance Publications Inc, jumbo mortgage lending increased by 20% in the 2nd quarter of 2010 as compared to first quarter figures. Originating $18 billion in jumbo loans for the quarter is a healthy start though there is still room for improvement. Buyers seeking to purchase a vacation home or condo may find qualifying for a jumbo loan via a large bank to be difficult. Processing delays, rigid requirements and bureaucratic red tape is pushing borrowers to seek alternative resources. 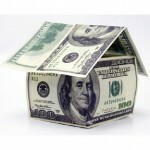 A mortgage specialist or local lender may be able to structure the loan in an efficient and timely manner. Regardless of the mortgage source, underwriting continues to be strict. Borrowers need to exhibit stellar credit profiles, provide detailed income and personal documentation, and must contribute at least 20% of their own funds toward the purchase of the property.The resurgence of jumbo loans is a step in the right direction.Borrowers that have been sitting on the sidelines, due in part to the lack of financing options, should view the revival of jumbo loans in combination with low interest rates as motivating factors.No one knows exactly when the scales will tip in favor of sellers over borrowers. Yet when purchasing power becomes fluid in all price brackets there is a tendency for the tide to change on the proverbial dime.